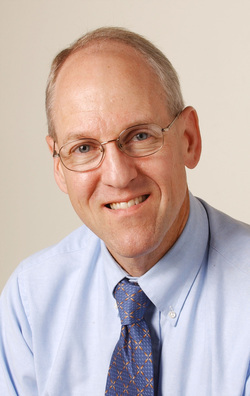 Jay Evensen is an award-winning editorial writer and columnist for the Deseret News, a daily newspaper in Salt Lake City and a worldwide voice for people of goodwill. His writings on education reform, public policy, moral issues and other subjects have alternately delighted and angered readers for the past 20 years. Some even have earned him the ultimate prize — the refrigerator award, bestowed by readers who clip something they like and attach it to the ‘fridge with a magnet. Jay began his career in 1982 as an intern for United Press International in New York City. In 1983 he learned every aspect of the business as sports editor of the tiny Clinton Daily News in Clinton, Okla. Later that year he moved to Las Vegas, Nev., where he worked for three years variously as a police, government and consumer affairs reporter. The Deseret News hired him in 1986. After eight years covering the governor’s office, the Legislature and City Hall, he joined the editorial board. His work was recognized with an award by the John Templeton Foundation in 2006 for the editorial treatment of human virtue and its importance in the life of our society and country. His employer nominated him for a Pulitzer Prize in 2002 for a series of editorials on drunken driving. He has won numerous local and regional awards. Jay is a member of the SDX Foundation Board, an arm of the Society of Professional Journalists. He served six years on the national governing board of SPJ. He also is a member of the Association of Opinion Journalists. He lives in South Jordan, Utah, with Kirsti, his wife of 34 years. They have five children and four grandchildren. Jay Evensen has been known to deliver a speech from time to time that doesn't put everyone to sleep. At the least, he has some interesting stories to share from 30 years in the news business. For scheduling, send an email to speaktome@jayevensen.com.